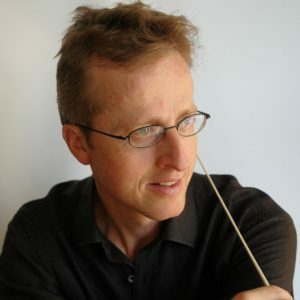 William composes, orchestrates and conducts music for film, television and concert performance. As a composer he specialises in Wildlife and History documentary. Recently broadcast wildlife commissions include ‘Wild Japan’ (National Geographic, 2010), ‘Wild Russia’ (National Geographic, 2009), and ‘Lobo – the Wolf that Changed America’ (BBC Natural World, 2008). ‘Lobo’ won the Outstanding Achievement Award at the Jackson Hole Wildlife Film Festival 2009 and the Jury’s Special Prize at the Wildscreen International Film Festival 2008. History features have included specials for Channel 4 such as ‘Athens – the Truth about Democracy’ (2007), and ‘When the Moors Ruled in Europe’ (2006). As orchestrator and conductor William works with the BBC Concert Orchestra, Royal Philharmonic Orchestra and London Metropolitan Orchestra. He has undertaken numerous projects for the BBC with composers Barnaby Taylor, Ben Salisbury and David Poore including several major natural history series. ‘Great Rift’ has just been aired on BBC2, and ‘Nature’s Great Events’, broadcast last year on BBC1, is being performed as a touring concert in the UK and abroad. ‘Wild China’ (2008) composed by Barnaby Taylor and orchestrated and conducted by William won an Emmy in 2009 for Music and Sound. William has collaborated on stage and in the recording studio with a wide variety of international soloists including John Williams, Andy Sheppard, Tom Jones and most recently Roni Size & Reprazent. A number of William’s recordings are available on Sony Classical, Universal Classical and Jazz, and CBS Records. Having been a Junior Exhibitioner in violin and piano at the Royal College of Music and a Music Scholar at St. Paul’s School, William studied music at the University of East Anglia and the Guildhall School of Music and Drama. His conducting teachers included Richard Hickox, John Lubbock and George Hurst. He studied piano with Sidney Harrison and John York.